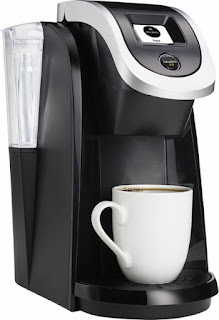 Right now you can get this Keurig - K200 Single-Serve K-Cup Pod Coffee Maker for $79.99 (Retail $119.99). Whether you're brewing for yourself or a group, this coffeemaker's strength control and specialty beverage settings let you easily whip up whatever delicious hot drink you crave. The touch display simplifies operation.